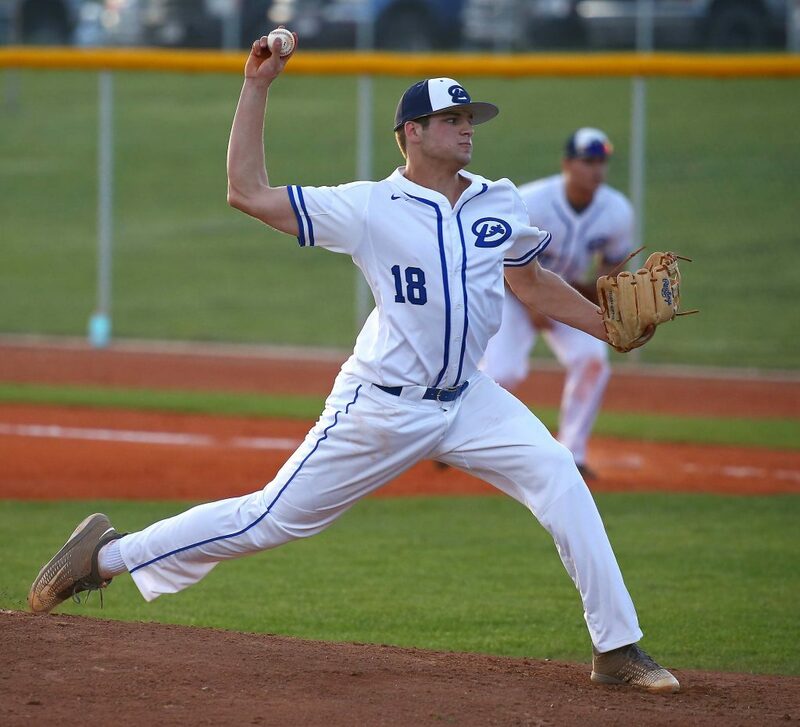 ST. GEORGE – No one would have blamed Dixie or Snow Canyon for overlooking their opponents this week with a showdown between the two state finalists looming just on the horizon. Both teams were heavily favored coming into this week’s series and an undefeated grudge match next week seems inevitable. 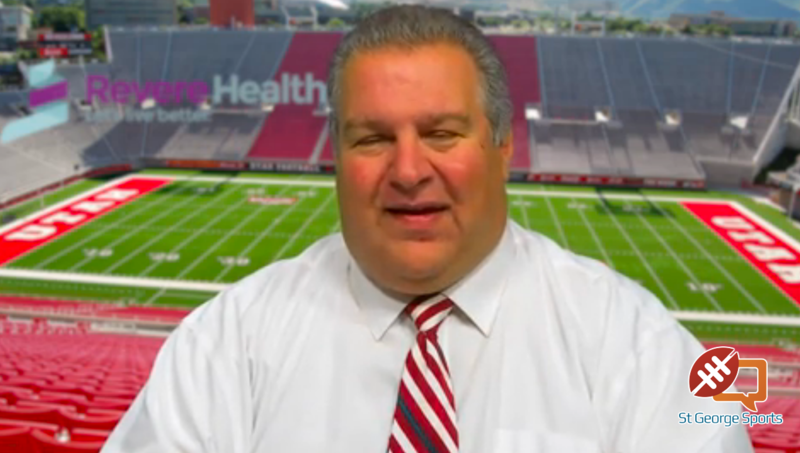 But Pine View and Desert Hills were hoping to have some say in the matter. And for awhile Tuesday night, it looked like we might have a spoiler or two before that big-time pair of games next week. But in the end the favorites prevailed. This time. Tyson Fisher hit his sixth home run of the year and Chase Lundin socked a grand slam in the Flyers’ big win. 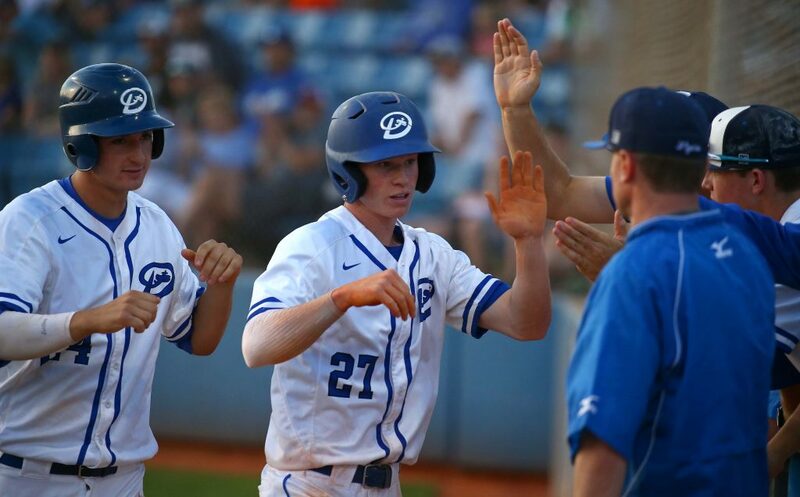 Dixie scored seven runs in the bottom of the fourth to turn the game into a laugher. 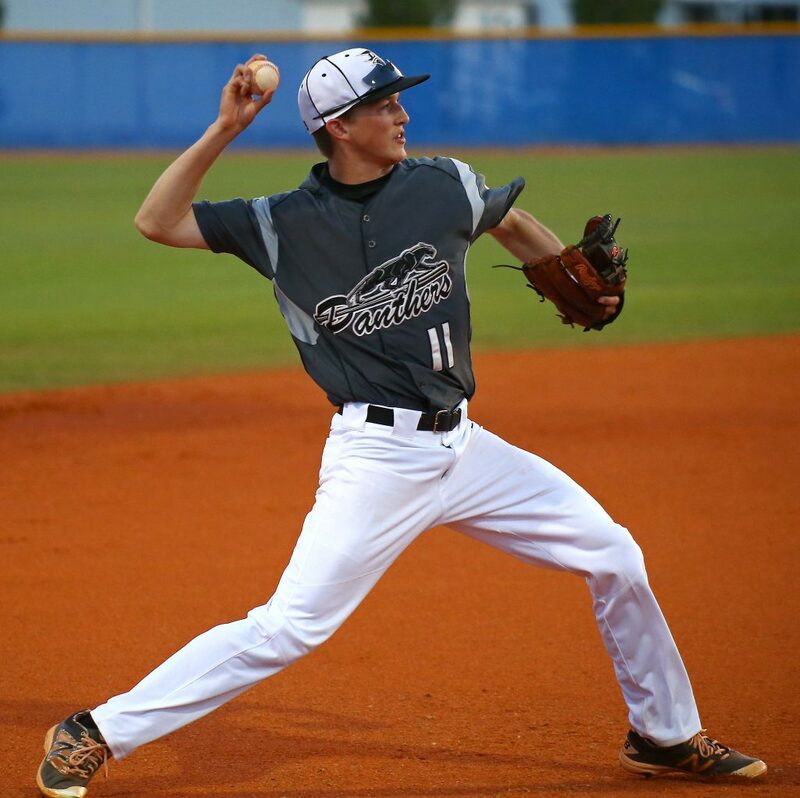 Pine View pitcher Cooper Madison had done a good job of keeping the Flyers off balance and it was a 3-0 game going into the bottom of the fourth. With one out, Reggie Graff sliced a double off the glove of a diving Panther in left field. Wyatt Woodland then walked and Blake Oaks made it a 4-0 game with an RBI single. Hobbs Nyberg was hit by a pitch to load the bases, but Madison was able to get a strikeout for the second out with the bases still loaded. Fisher then drew a five-pitch walk to force home another run and make it 5-0. Lundin stepped into the batter’s box next, but he wasn’t there long. 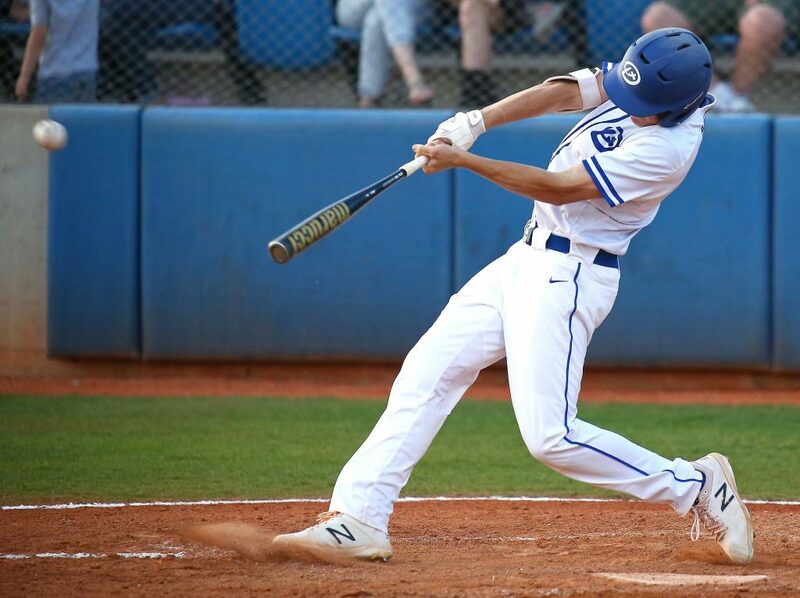 After fouling off the first pitch, the senior catcher rocked his third home run in as many games by lining a shot over the left field fence. The grand salami made the score 9-0 and signaled the end of the night for Madison. 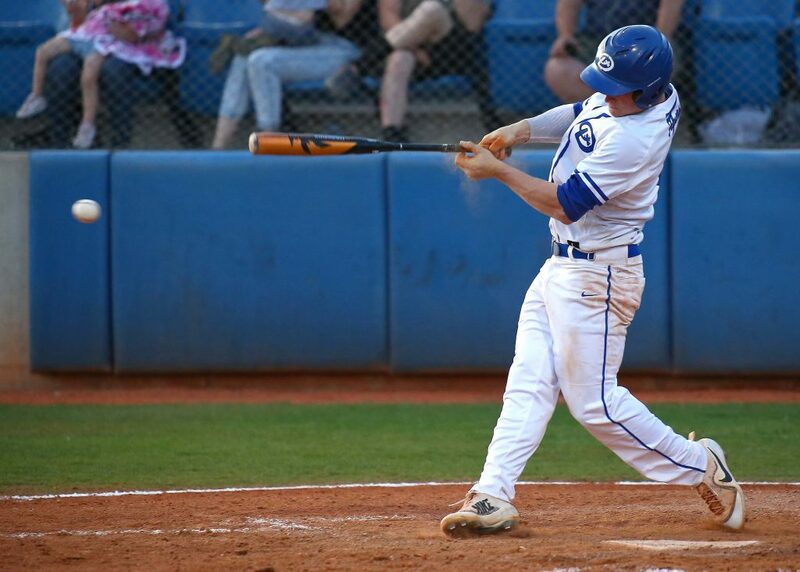 Even with the grand slam, Dixie still needed another run to try and get to the 10-run mercy rule. Dawson Staheli came on to pitch for Pine View and Payden Harrah greeted him with a lined single to center. Kayler Yates then doubled into the right field corner to bring Harrah in to score and make it 10-0. Fisher, who pitched all five innings and allowed just three hits and no runs, then retired the Panthers quickly to end the game. Dixie scored first on a wild pitch that brought home Oaks on the bottom of the third. Fisher then hit his sixth homer of the year with a towering shot over the big blue fence in center field. The two-run bomb made it 3-0, more than enough for Fisher on the mound, where he’s allowed just two runs all season long. Ipson said he was definitely concerned (and still is) about his team overlooking Pine View with Snow Canyon on the schedule for next week. 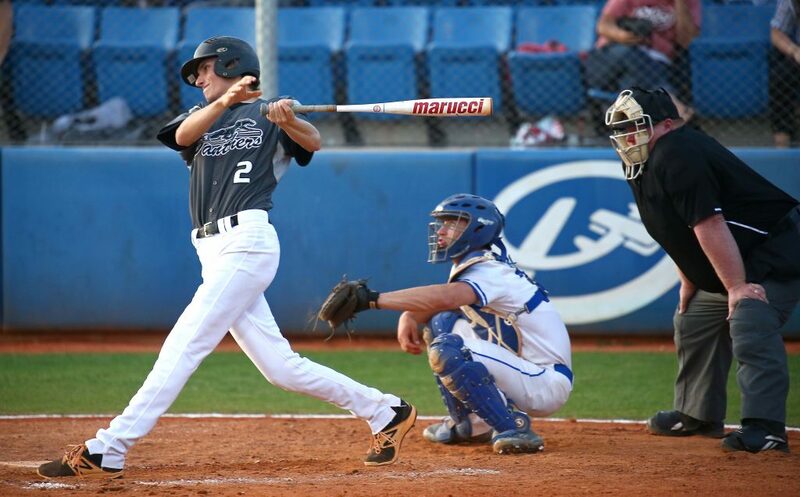 Lundin’s four RBIs ties him with Desert Hills’ Bronson Andrus for the region lead in RBIs with 32. 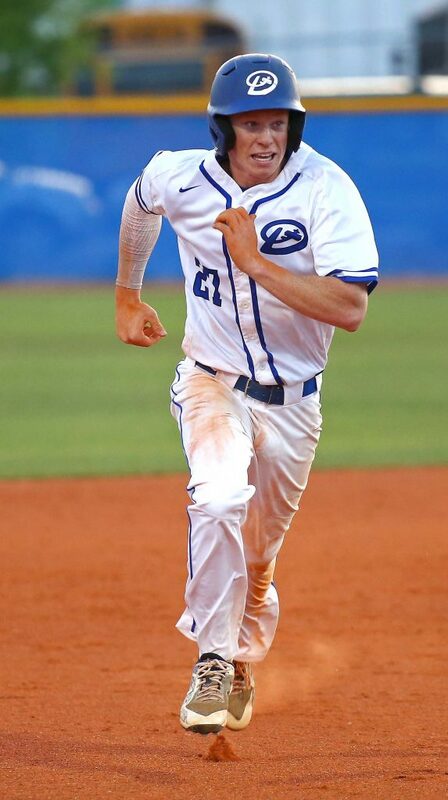 Lundin is also third in the region in home runs with five, one behind teammate Fisher and two behind Snow Canyon’s Austin Deming. Fisher struck out eight and walked one in earning his sixth victory of the year. Nyberg and Oaks each had a hit and a walk in the game and both players scored twice. DHS had seven hits and four walks in the game. Dixie improves to 20-2 overall and 9-0 in region play. 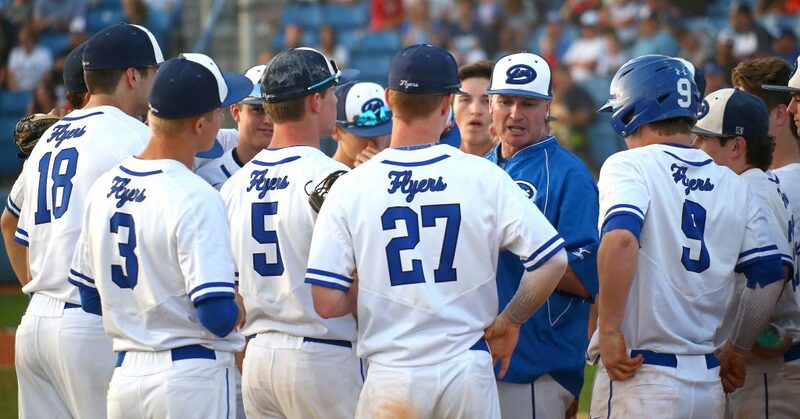 The Flyers have won 10 straight since a pair of 3-2 non-region losses to Cottonwood and Timpanogas in March. 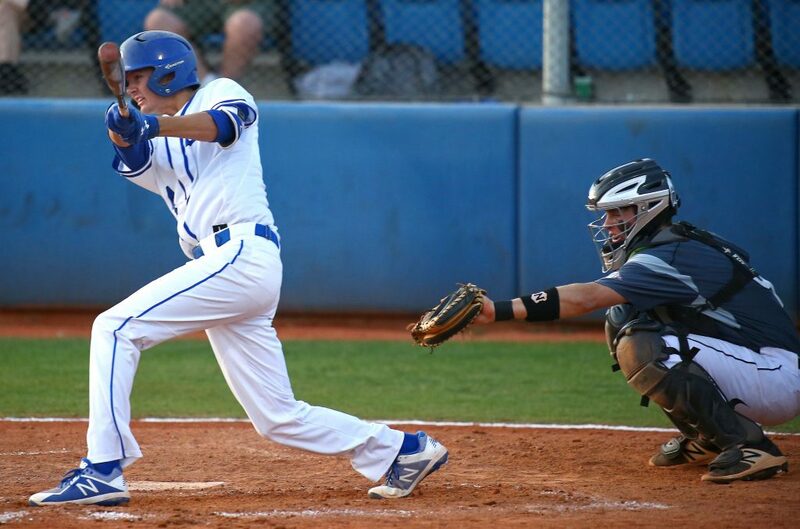 Dixie has outscored its opponents 87-3 in nine region games. 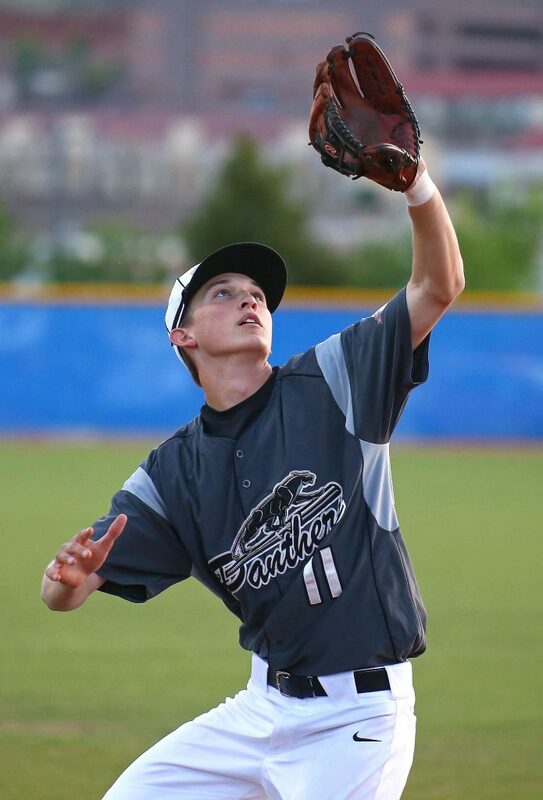 Pine View, 11-6 and 4-5, got its three hits from Roman Lafemina, Cody Riddle and Dawson Staheli. The two teams rematch Friday night at Panther Field. 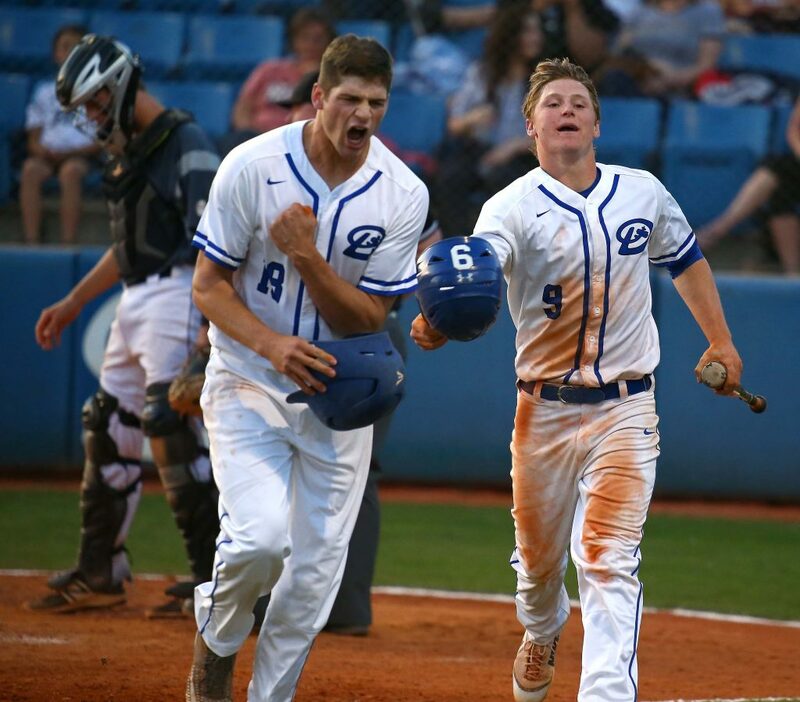 The Thunder had to be feeling like it was their night when Drew Thorpe hit a solo home run off of Breck Eichelberger in the top of the first inning. It was the first earned run scored off the Warrior senior all season long. As it turns out, that would be the extent of the offense for Desert Hills the rest of the night. Eichelberger settled down after the long ball and pitched shutout ball the rest of the game. But the Thunder defense and pitching made the lead stand up for awhile. D-Hills starter Blake Milne was very effective against a dangerous Snow Canyon lineup. He held SC hitless into the third and kept the shutout going until the fifth. In that inning, Zack Nowatzke led off with a double to the center field fence. Stephen Gubler then tied the game up by lining a 1-1 pitch to center field to score the speedy Nowatzke and make it 1-1. 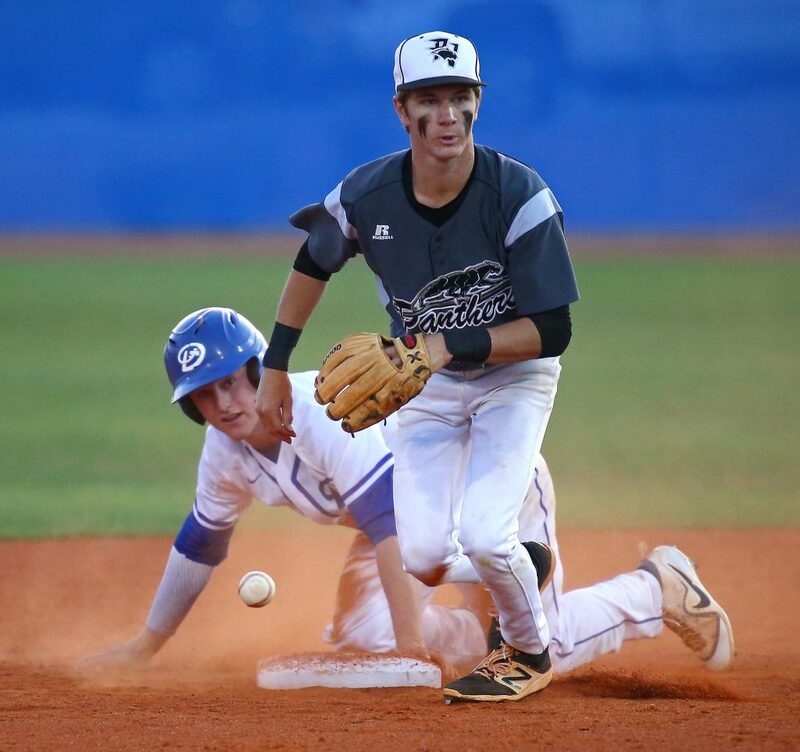 The first two runners reached for Desert Hills in the top of the sixth as Thorpe singled and Sam Rhoton was hit by a pitch. Eichelberger struck out the next batter, but then uncorked a wild pitch to put the go-ahead run at third and move Rhoton to second. But Eichelberger got the next two Desert Hills batters to strikeout to end the the threat. And the Warriors made D-Hills pay for the missed opportunity. Brock Secrist led off the bottom of the sixth with a single and then Austin Staheli bunted and reached on an error. Seth Smith then poked a little Texas-leaguer into right field to score Secrist and make it 2-1. A wild pitch moved both runners up, leaving first base open. That was bad news for Austin Deming, the region’s top home run hitter, who was then intentionally walked. Tim Shakespeare then grounded out, but the ball to the right side was deep enough to get Staheli’s speed-up runner, Brooks Sampson, home with the third run and make it 3-1. A wild pitch ushered home Smith to make it 4-1 and the Warriors got one more in the inning when Gubler tripled to left field and knocked in Deming. Eichelberger then picked up his seventh win of the year by retiring the Thunder 1-2-3 in the seventh to end the game. Gubler led SC with two hits and two RBIs, while Secrist also had a pair of hits. Eichelberger ended up allowing four hits and striking out eight in the win, allowing zero walks. He’s given up just one earned run in 45 innings this season, an earned run average of 0.16. Thorpe was the lone bright spot offensively for D-Hills. 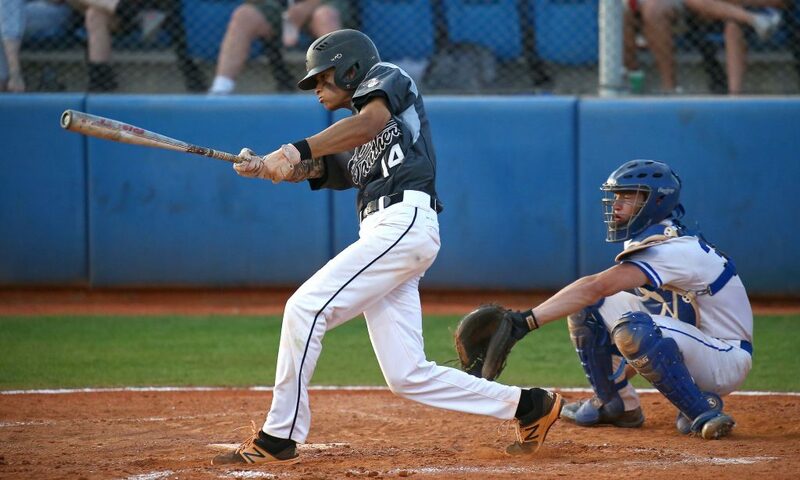 He had two singles and a homer in the game, collecting three of the four hits for the Thunder. Andrus had the other one. Snow Canyon is 21-1 overall and tied for first in the region with Dixie with a 9-0 record. Desert Hills falls to 6-5 in region play, 13-6 overall. The two teams meet again Friday night at Thunder Field. Trace Harden had a big day. 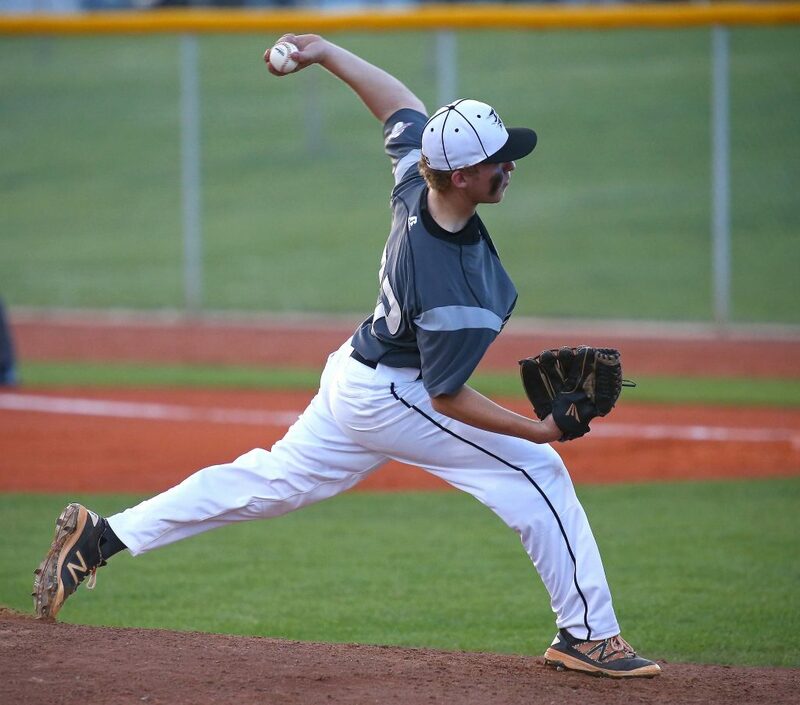 The senior hurled a complete game and also ripped a triple as the Falcons picked up their first region win. 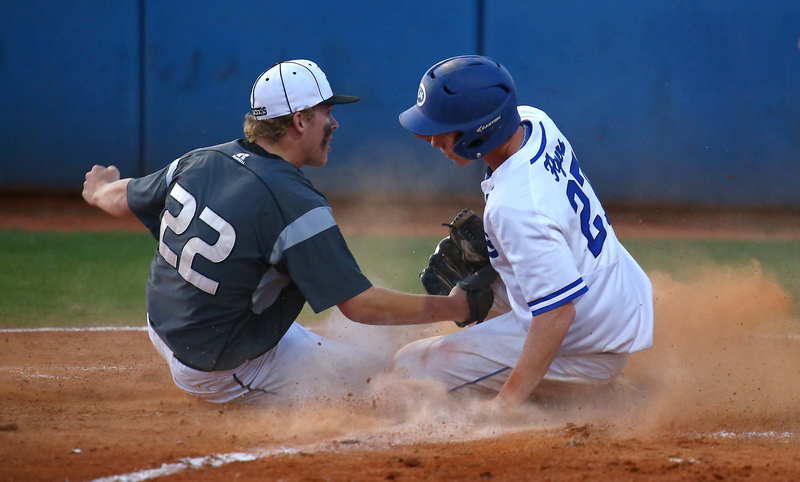 Almost all the scoring came in the fourth inning as the Tigers plated two in the top half and Canyon View countered with five in the bottom half. Hurricane had its first lead in quite some time in the top of the fourth as Kyle Stevenson grounded home Brock Starley, who had walked. A couple of batters later, Michael Martinez singled home Stevenson to make it 2-0. 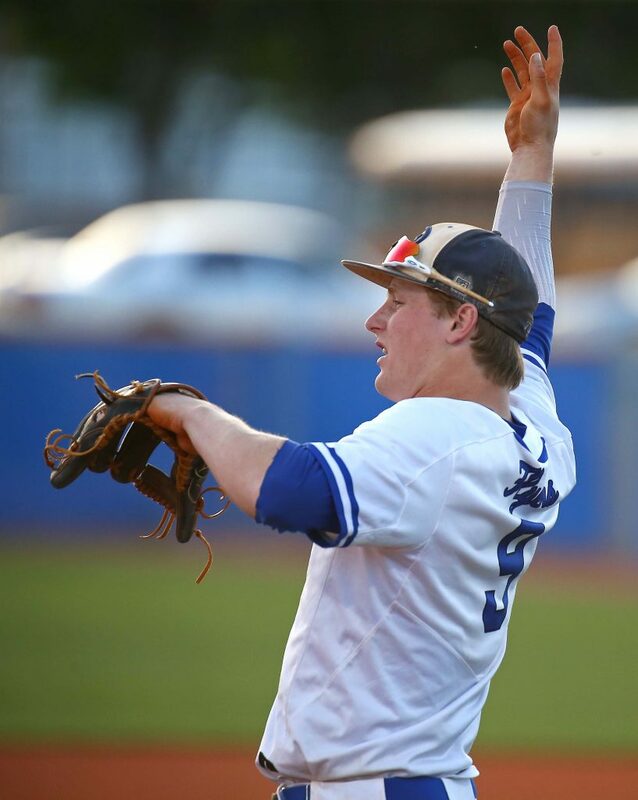 Harden worked through the trouble by inducing a groundout and a strikeout to end the threat. In the bottom of the fourth, the first three Falcons reached base on a single, a walk and a safe call on a bunt play. Tristan Graff then singled to left to put Canyon View on the board and make it 2-1. A balk by Hurricane brought home Tanner Hardin and made it 2-2, followed by a sacrifice fly from Joey Lambeth that brought home Madsen Rigby and made it 3-2. Another sac fly, this time by Trevor Farrow, scored Graff and made it 4-2. Harden then ripped a triple and scored moments later on another balk to make it 5-2. The Tigers cut it to 5-3 in the top of the sixth on another RBI hit by Martinez, but Harden struck out the side in the seventh to close out the game. Harden ended up allowing six hits and three runs in the game, striking out 11 while walking just one. 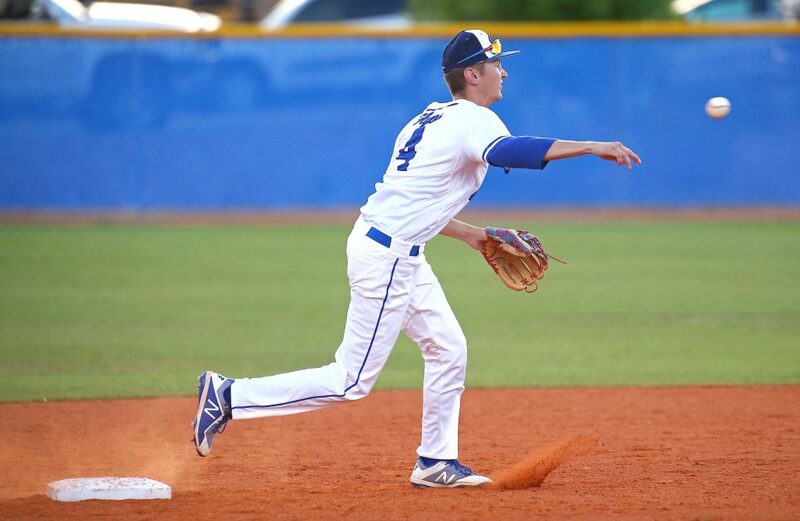 Tanner Hardin had two hits to lead the way for CV, which improves to 6-13 overall and 1-8 in region play. Hurricane, 7-13 and 0-9, will host Canyon View Friday night at Tiger Field. Canyon View at Hurricane, 7:30 p.m. Snow Canyon at Desert Hills, 7:30 p.m.
Dixie at Pine View, 7:30 p.m.